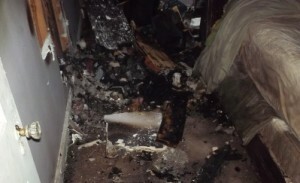 Fire Damage Restoration in Michigan - Call Rapid. 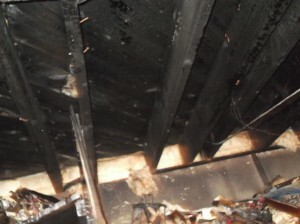 Fire damage restoration needs a systematic approach to lessen the stress on homeowner’s part. When a fire is already at hand, the first thing to do is evacuate all occupants of a house. Professional advice is not to re-enter the premises until a declared fire is out and safe. Safety situations occur when deemed by the Fire Marshal. Insurance providers need to be contacted right away to report the status. Also to obtain instructions on how to proceed. As an example, Warren is the largest city in Macomb County and the third largest in the state of Michigan. Fire damage in Warren is quite prevalent. It is a big city with small village vibe, and it is a good place to raise a family. Whether you are a business owner or homeowner, dealing with scary fire after-effects. While, in a matter of minutes, what you have built for years can turn to ashes in seconds. Also, aside from the loss of property, fire damage can also cause tremendous stress on the victim and even loss of life. Therefore, It is advisable to hire professionals for the restoration process. Because, the complicated and daunting task of fire damage restoration is quite difficult, in more ways than one. Take note that you are not only dealing with a burned structure and furnishings but also water and smoke damage. Finally, when a major fire happens, numerous things must get addressed at the same time. Hense, Rapid can help lift the overwhelming burden of disaster. Rapid Recovery Service provides complete service including board up help that is necessary before any cleaning or restoration starts. A fire-damaged building may have weakened walls, broken windows or a compromised structure. Therefore, danger is subjected to anybody just to walk into the fire damaged property. Securing the distressed property must be done to avoid vandalism. Also, securing the premises prevents any falling debris and ensures the safety of the cleaning and restoration crew. Rapid Recovery Service company will arrive at your home quickly. Typically crews arrive on site within 1 hour. Homeowners should wait until the team covers windows. Also, the team will put up temporary fencing and stabilized the structure. If allowed to enter the damaged property, take the necessary precautions. Even with the proper board up in place, you should wear a mask because the soot and smoke still present may cause respiratory irritation. Don’t turn electricity on until wiring is inspected and deemed safe, even if only a minor fire. Finally, use an outside power source if you need to use fans, vacuum or other cleaning tools. The real extent of fire damage cannot be determined just by looking. There may be structural damage not seen immediately. Furthermore, a cleanup process can be complicated. Water, soot, and smoke-damaged objects must be immediately segregated to salvage as many items as possible. Burned objects, on the other hand, must be placed in a proper disposal container and sent to the appropriate facility to avoid harming the environment. Furthermore, Fire damage restoration can be tedious. Although, with the help of professionals, a homeowner can expect the property treated respectfully and professionally. As a result, the hope is to return the home or business to its pre-fire condition. Also, the safety of occupants assured when using the exact process with Rapid Recovery Service specialists.